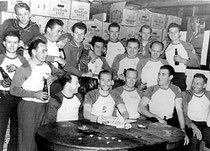 The Boozefighter Motorcycle Club (BFMC) was formed by a bunch of guys fresh out of World War II. "Wino" Willie Forkner (deceased 1997) is recongnized to be the founder. They were at the infamous Hollister, California event of July 4, 1947 which has been immortalized by the movie "The Wild One," starring Marlon Brando. Lee Marvin played the part of "Wino." The term "Boozefighter" does not mean we are against responsible use of alcohol. However, we do forbid the use of non-prescriptiondrugs, or any form of illegal activity. 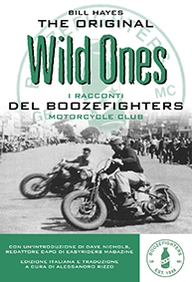 The Boozefighters have never been "one-percenters" or an Outlaw Club. We believe in respecting the rights of all motorcycle clubs in a peaceful, co-existent manner, and of all members ofthecommunity. We believe in freedom of choice and freedom of the road. The BFMC supports various fundraisers like the Tarrant County Toy Run (Texas) that benefits children with the Mental Health Retardation Society and Wish with Wings, Inc who provides presents for children impacted by debilatate disease. The BFMC is one of the oldest active motorcycle clubs in existence. There are chapters across the United States Europe end Asia. A truly international organization. It is this rich history that is being preserved in the spirit of fellowship and good fun. It was 1946 when an individual named Willie Forkner crashed through a fence during a race in El Cajon, California and joined in the fun. The club he was in did not find it funny so they kicked him out. Well Willie took it in stride and went about finding other outcast veterans who found life back in the States overwhelmingly dull. He didn't have to look long or far. Fatboy Nelson, Dink Burns, George Menker and more than a few others were ready for a change in some of the formalities of the clubs at the time. It is said that the club was actually formed at the All American Bar, in the blue-collar town of South Gate in Los Angeles. A fitting name for a group that consisted of many Veterans of the great War, they had been there, done that so to speak and the quiet life just wasn't in them. 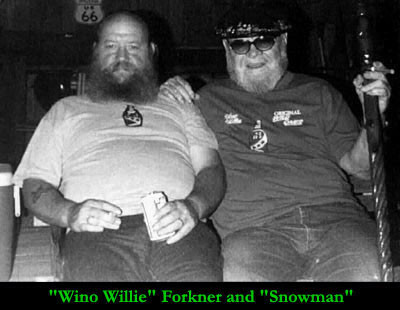 So “Wino” Willie Fokner joined these men together and formed "The Boozefighters" (BFMC). The group pushed the limits of their bikes and themselves, racing to extreme speeds and pushing the danger envelope. As the group's name suggests, you can be sure there was no lack of the forbidden fruits of hops, barley, and wine. This combination of speed and liquor helped the Boozefighters obtain a less than desirable reputation with the common folk. The media took that reputation to the next level when the BFMC attended the infamous Hollister, CA Fourth of July party of 1947. The party got out of hand when some juiced up members of the BFMC were arrested for drinking and street racing. That incident provided much of the inspiration for the film The Wild Ones, which starred Marlon Brando. 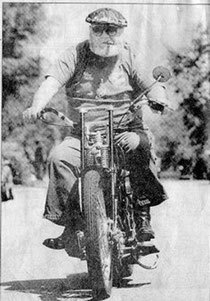 In fact, Wino Willie was believed to be the inspiration for "Chino," Lee Marvin's character in the film. Together the Hollister “riot” and the film jump started the outlaw motorcycle club scene.